Few food-related experiences please me more than buying a bag of just-picked satsumas off the back of a pick-up truck on the edge of a pecan orchard in Baldwin County on Christmas week. Some of the most distinctive icons of nature in the American South – magnolias, camellias, and azaleas come to mind – came over from Asia. 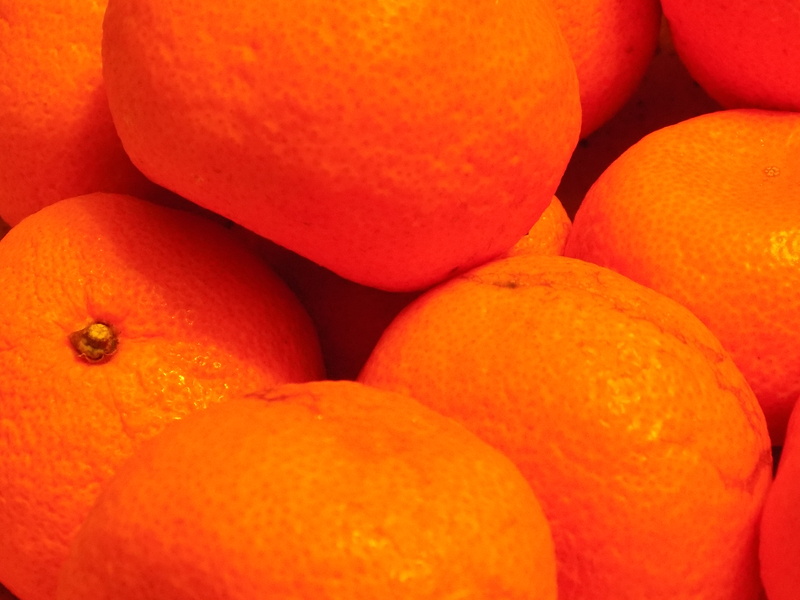 Satsuma oranges have Asian origins too and are a part of the mandarin orange family. Mobile and Baldwin Counties on the Alabama Gulf Coast are part of a Southern “Satsuma Belt” that stretches from Texas to Florida and there is pretty specific history about how the tasty fruit got its start in Alabama. The Mobile County town of Satsuma gets its evocative name from the fruit. “Satsuma” ranks right up there with “Sipsey” among my favorite Alabama place names. Satsumas are a medium-sized, mostly seedless, orange citrus with a distinctive skin that easily pulls away from the fruit, making it simple to peel and eat without much mess or trouble. Satsuma season starts in the fall just before the holidays commence. The fruit gets sweeter as the season progresses and its rich sweetness peaks right around the time Christmas comes around. I always grab a few bags of satsumas when I am in Baldwin County before Christmas. Last year the weather was uncooperative and satsumas were hard to find. In years past, I usually bought my satsumas from a lady whose truck was often parked on the corner of Fairhope Avenue and Church Street in downtown Fairhope. This year there was a good crop and an abundance of stands, pick-up trucks, and signs on the side of the road alerting the public that there were satsumas to be had. The recent deluge of rain may have put a slightly early end to the season, I hear, but three days before Christmas I saw a man with a tent, a parka, and a large umbrella selling baskets of satsumas during a pounding rainstorm (with distant thunder) on a Fairhope side street. While satsumas are a tasty treat to just peel and eat, I also usually make an ambrosia with satsumas as the citrus component. This year, between frequent visits to the hospital, my mother and I only had time to grab a satsuma in lieu of a meal on a few occasions. Mother would usually pack a couple of satsumas in her bag of provisions before a day spent by my father’s bedside but just as often she would give them away to a nurse or respiratory therapist. I had to get to Huntsville to take care of some end of month duties at the house and the satsuma rations at Mother’s house in Birmingham were getting low when I left. Fortunately, in Huntsville today, I saw a sign advertising “Mobile County Satsumas” outside a store and dashed in to grab the last two bags they had for the season. That should get us into a new year, perhaps into an ambrosia, and tide us over for a few days until the next crop of satsumas makes its appearance before Thanksgiving of 2016. Happy New Year (and, oh yeah, Roll Tide). This entry was posted in satsuma oranges and tagged ambrosia, Baldwin County Alabama, Fairhope, Mobile County, satsuma oranges on December 31, 2015 by gedwardjourney. Thanks for the like and the comment, Denise. I have never been told that I could be seen as a southern woman before although my penchant for baking cheese straws might rock that boat a little. My southern culinary influences tend to be people like Frank Stitt, John Besh, Donald Link, and Scott Peacock and the whole farm to table movement. But my earliest influences were my grandmothers, two great southern women who were also great home cooks. So thanks for the compliment.